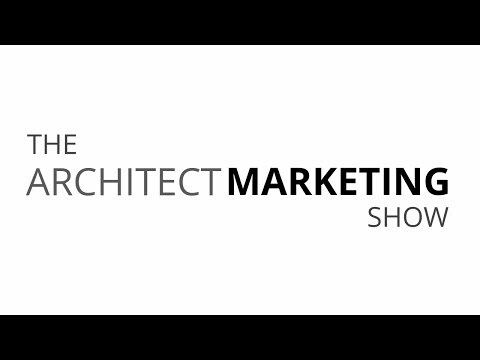 In this episode of the Architect Marketing Show, we discuss the mindset of marketing for architects. Enoch, thank you. The way I approach this “education” (I and my firm are one and the same) is simply by being as honest and transparent as I possibly can be. 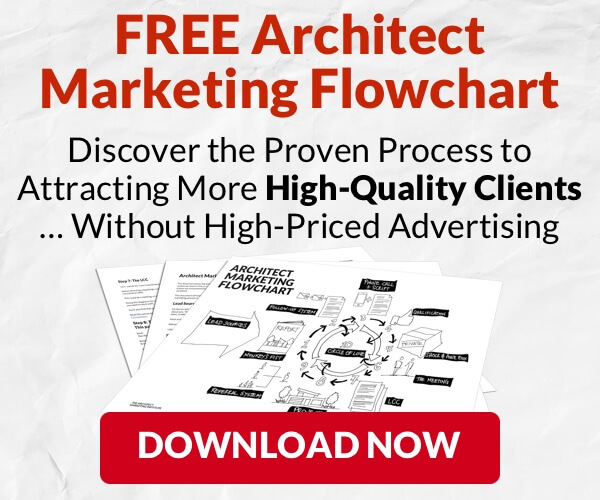 I can tell you quite honestly that I have had more clients not hire me than have hired me simply because of their pre-conceived notions of what architects do and what architects cost. There is a wide spread belief that architects just “do drawings” and contractors are the ones who “build things”. 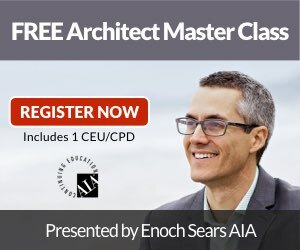 There is a perception that architects don’t actually work for the fees they charge whereas contractors are the ones who do. So, rather than try and explain what it is I do, what architects do, or explain where the value is in my services I try to ask questions about their project that shows them just how valuable an architect can be. For example, I ask them questions about style, materials and construction, but also about how they live, how their home life functions, what they do and don’t like about their current home/apartment/whatever. And then I start to suggest small ways that can make their life better through design. I find it’s much better to get potential clients thinking about ways I as an architect can help them rather than just telling them. This has been successful so far in the few commissions I’ve received. But like I said before, more have decided the expense isn’t worth it, so there is still a lot of ground to cover, but I’m only at the beginning. Of course that makes sense Jeremiah. A very succinct explanation that gets at the additional value of design! Jeremiah, thanks for the great comment (also thanks for sharing the podcast!). I’d like to turn the question back around on you and ask how you personally approach (or your firm approaches) this process of ‘education’. In your opinion, what are some good ways to do this? Eric, Enoch, excellent podcast! I am enjoying all of the episodes to date. I just wanted to comment quickly that you hit something squarely on the head when you said that there needs to be a shift in public perception about the value of an architects services. You mentioned that when we go to the doctor we don’t question the bill because there is an understanding of the value of the service we are paying for. 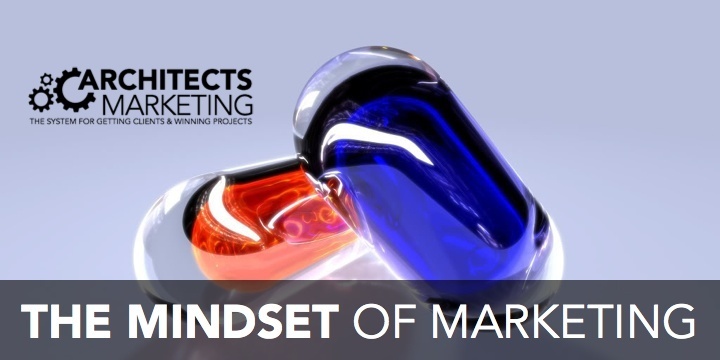 This change in perception has to start with the architects. It is something that I spend a good deal of time trying to convey to my potential clients and I know other architects are as well. 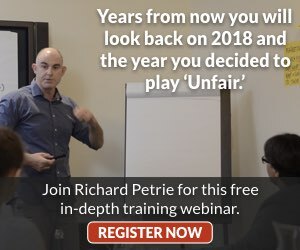 But I don’t think it gets carried forward beyond that sort of grass roots effort by the individual to the larger nationwide professional stage. And that needs to change before we are going to see a more widespread shift in public perception. Thank you both for these podcasts. Keep up the good work!